Hello and welcome. Please allow me a moment of your time for the smallest of introductions. 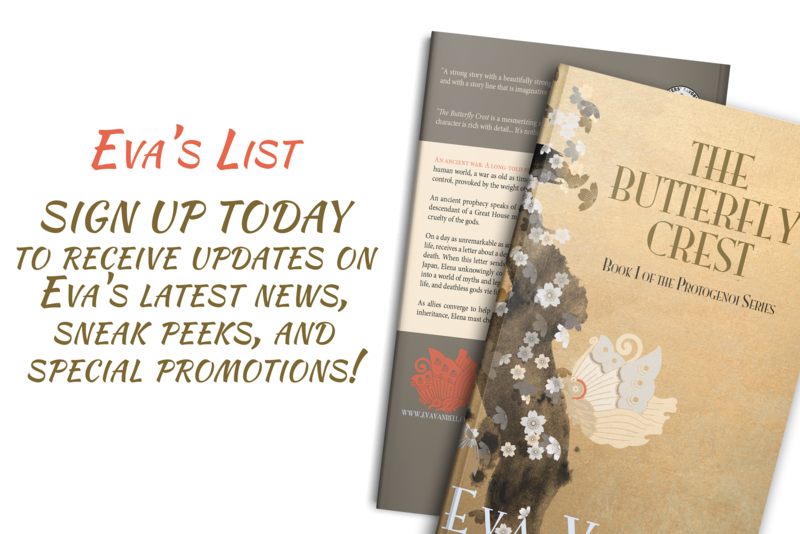 My name is Eva Vanrell and in the beginning of 2011, I took a blind leap of faith to pursue what I loved most. The result of that journey is my debut novel, The Butterfly Crest. This site catalogues my experiences in throwing myself headlong into the journey of writing my first book, and all the things that followed. I’ve started writing Book Two of the series, so please stay tuned. 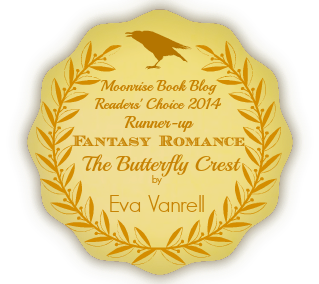 The First Edition Paperback of The Butterfly Crest was released on November 11, 2014. It is also available in ebook format at all major ebook retailers. For purchasing information, please feel free to visit our BOOKSHOP. If you would like to learn more, feel free to browse the Synopsis, Book Excerpts and Editorial Reviews in the left-side menu (for those of you on a mobile device, scroll down as far as the screen will let you – the links are at the bottom of the blog feed).